I started quilting in 1997 and I've learned a few things since then that I would like to share with you. Some of these I learned, or was reminded of, from teaching others to quilt. 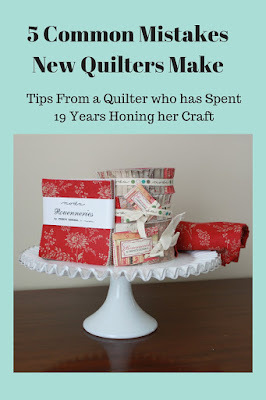 I'm listing them here to help new quilters as well as quilters who may have formed some bad habits from their own start (ahem, like me). 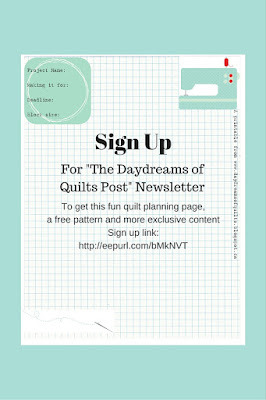 This is also useful for quilters who are teaching others to quilt. 1. Not knowing how to use your own sewing machine. Maybe you've bought an expensive machine from a specialty sewing machine shop or maybe you're not 100% sure this is the hobby for you and you've bought a less expensive machine at a store like Walmart. Either way, set aside time dedicated to learning how your machine works. I bought my first machine from Sears and they had a sewing class I could sign up for to learn all the different features of my machine. It was time well spent! Any specialty shop selling high end machines should offer this service but check with them before you buy. Two summer ago I bought a less expensive machine from Walmart as a back-up machine. Now, of course, Walmart doesn't offer a get-to-know-your-machine sewing class however I still recommend blocking off some time where you will be able to focus and go through your machine's manual to learn how it works before you try to sew your first project. It will save you a lot of time and head aches down the road. 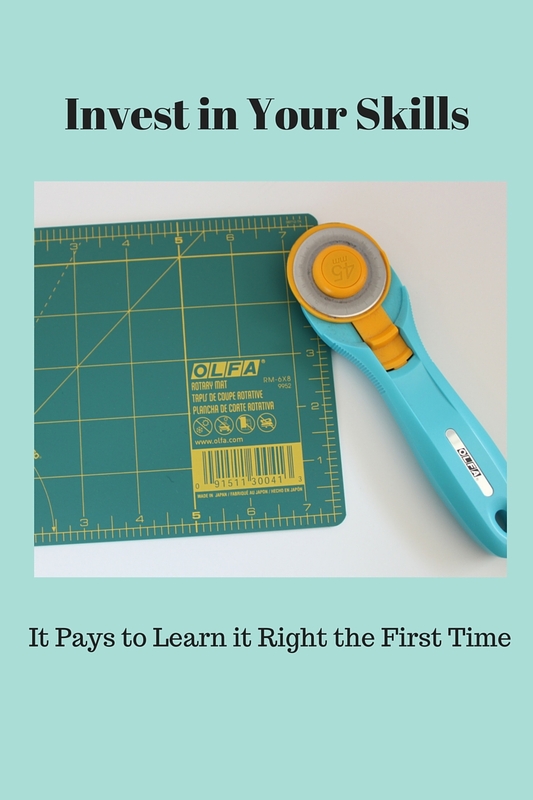 I was floored when I taught my first quilting class to discover that more than one of my students did not know how to work their sewing machine! I had to spend time in the class figuring out how their machines worked and showing them. This class was relaxed and informal. Normally a teacher would not have time to do this in a class at a quilt shop or quilting event and it would be unfair to the other class participants to do this. 2. Not knowing the importance of a quarter inch seam. The quarter inch seam is the most basic thing you should know about quilting. In quilting all seams are 1/4". The reason for this is because any more than a quarter inch is creating unnecessary bulk on the back of the quilt top and any less than that could cause a hole in the quilt over time due to fabric fraying down to the stitches. I have made this mistake myself and left some seams in a quilt that were about 1/8" and after a few trips through the washing machine that quilt developed holes. 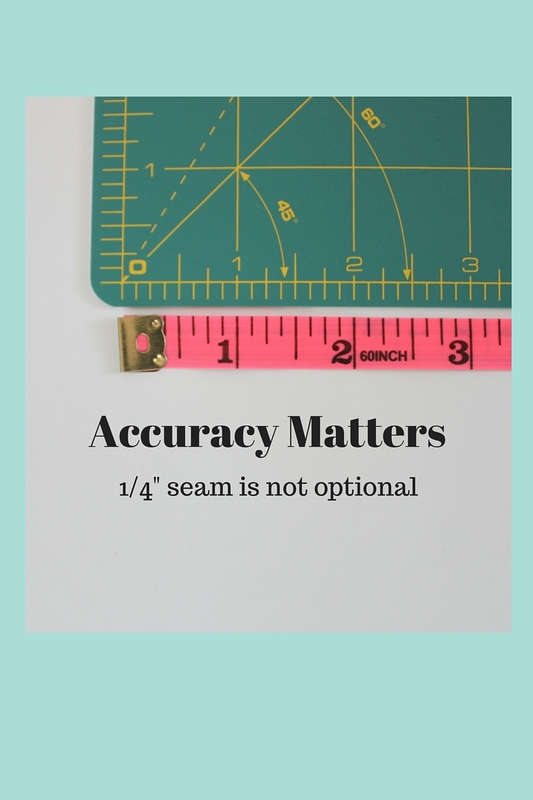 There are times when it is best to use a scant 1/4" seam and that means that you sew just a thread's width less than a quarter inch. This helps with accuracy when sewing blocks with many pieces. 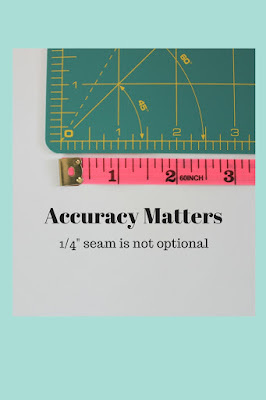 It is also a good idea when sewing these types of blocks to check the finished size of them and if they differ to find the average size and square them all up to that size. 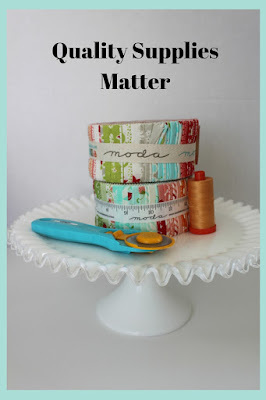 New quilter's may not realize that there are different qualities of fabric when they are first starting out. When I was first starting to collect a stash I made this mistake. I bought fabric at big warehouse-type craft stores. I didn't know that there is a reason why those fabrics are less expensive and appear like "such a good deal." Buying less expensive fabrics can ruin a quilt. Their dyes can run and they often do not have a nice hand - meaning that they do not feel nice to the touch. They can often feel stiffer and rougher than good quality quilting cotton. It is best to use high quality quilting cottons, of the type that quilt shops carry, in your quilts. High quality materials mean high quality quilts. I also do not recommend mixing fabric types such as polyester in with your cottons. This can cause warping of blocks, troubles with pressing blocks with a hot steam iron and different shrinkage rates in the wash.
My first quilt was a log cabin quilt. The lady who taught me to make it let me use her scraps. Many of the scraps were thin fabrics and blended fabrics. They were not good quality quilter's cottons. Those thin fabrics were the first to develop holes and after a few years my prized quilt was a wreck. It became a dog bed when my dog got ill and then it ended up at the curb and in the garbage truck. I was wishing I had bought my own fabrics but looking back I probably wouldn't have known to buy the high quality ones I recommend. 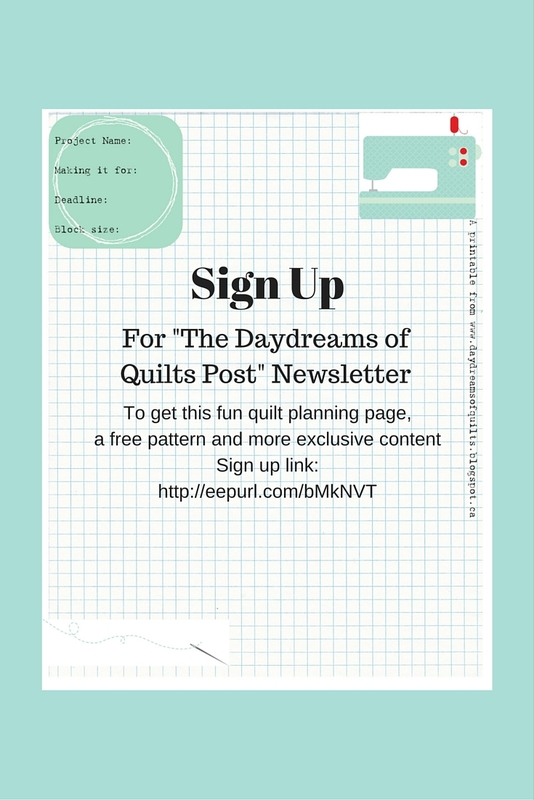 This is one thing that I did right when I was starting out on my quilting journey. For that first quilt I made that I just mentioned above the other thing the lady had me do was hand cut all the strips for the log cabin blocks. That was time consuming and not very fun or accurate. The first thing I did after that was buy a book on rotary cutting. Even with the book I was still feeling confused on how to do it so I signed up for a rotary cutting course at a local quilt shop. That was money well spent! Rotary cutting is such an important skill to learn well from the beginning. Learning bad habits with rotary cutting take a long time to unlearn. Not only is rotary cutting important to accuracy and the final outcome of your blocks and quilts but it also uses a dangerous tool. Basically a rotary cutter is a spinning razor blade and many quilters' injuries occur using this tool. Learning safety habits such as always closing your blade after you use it, even if you're only putting it down for a second, is very important. For example, I saw photos on Instagram of a quilter's foot after her rotary cutter fell from her cutting table with the blade open onto her bare foot. How many of us quilt in our bare feet at home? I know I do! Always close the blade! Also, always keep your fingers away from the ruler's edge! I strongly recommend taking a rotary cutting class if you can. This was another one I didn't know when I first started quilting. Ironing is gliding the iron across the fabric to remove wrinkles. Pressing is placing the iron on the fabric to press a seam and then lifting it and placing it down again. It is fine to iron your fabric before cutting your pieces but it is important to press your seams rather than ironing them so you don't distort your blocks.